Small numbers of waders are still passing through the area with the small drainage ditch and wet area producing the best number of birds with seven species present yesterday. 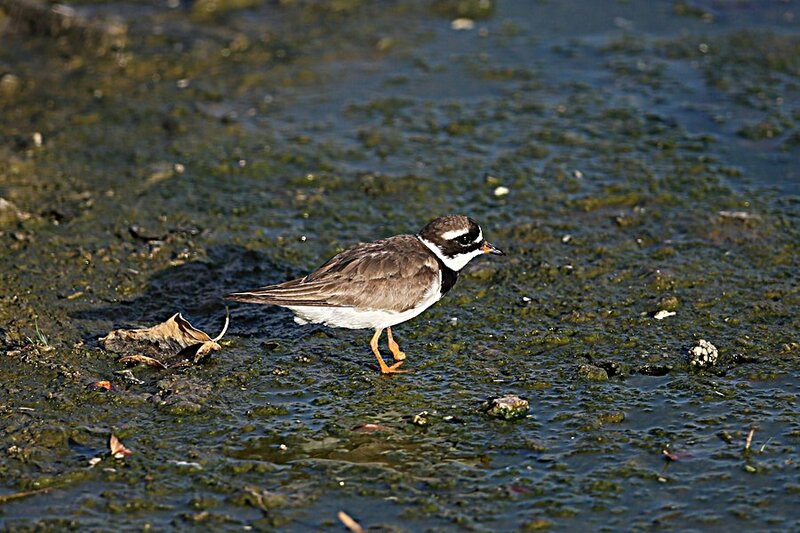 This included one Wood Sandpiper, five Green Sandpipers, one Common Ringed Plover, five Little Stints, one Dunlin, one Common Sandpiper and one Little Ringed Plover. 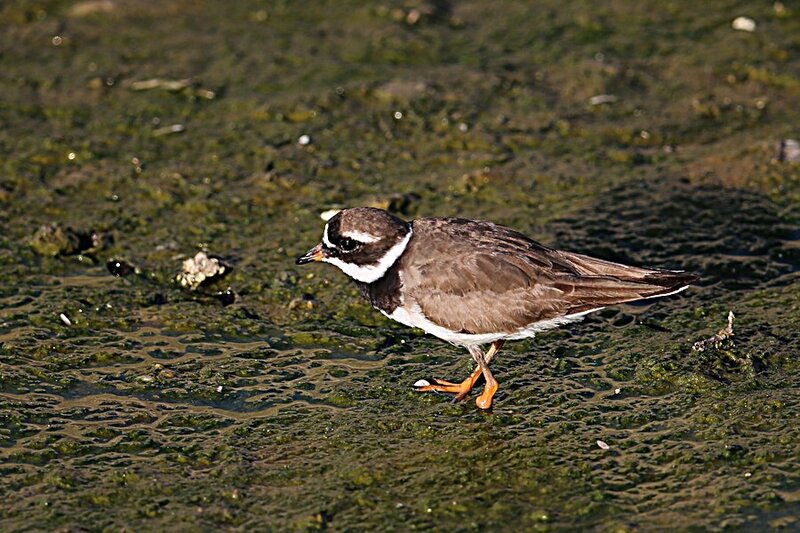 The Common Ringed Plover although feeding well and moving about in a reasonable way had its left foot missing and only a well healed stump present. It would be interesting to know how this happened as there are no other signs of damage to the bird. A very smart male Grey-headed Wagtail thunbergi was present in the drainage ditch but always kept close to the area where a pipe went under the road and was never in a position to photograph. Other good birds seen included the first returning Garganey of the autumn with a small group of 14 birds present on the percolation pond. 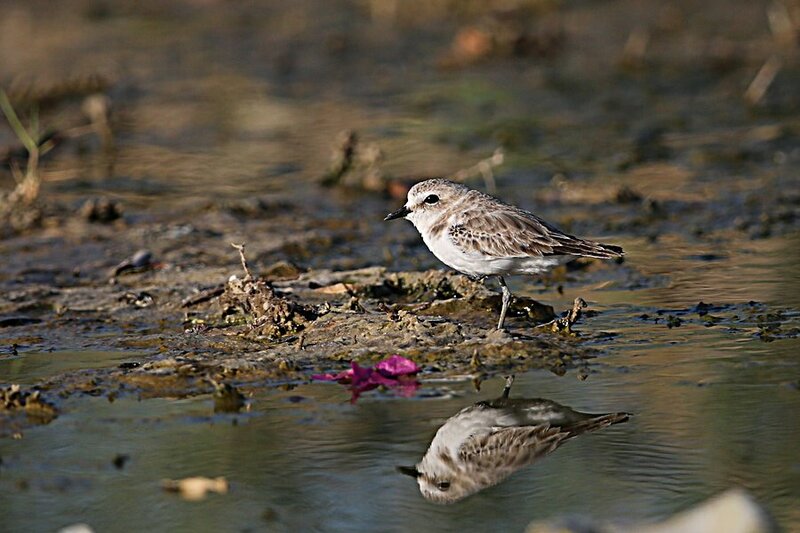 Duck are obviously passing through in reasonable numbers now as I have seen Northern Shoveller on the pond in the last week and also saw Eurasian Teal and Northern Shoveller at Sabkhat Al Fasl last weekend. I am still awaiting my first Tufted Duck for Saudi Arabia so I am waiting in anticipation of this species occurring on the ‘patch’. 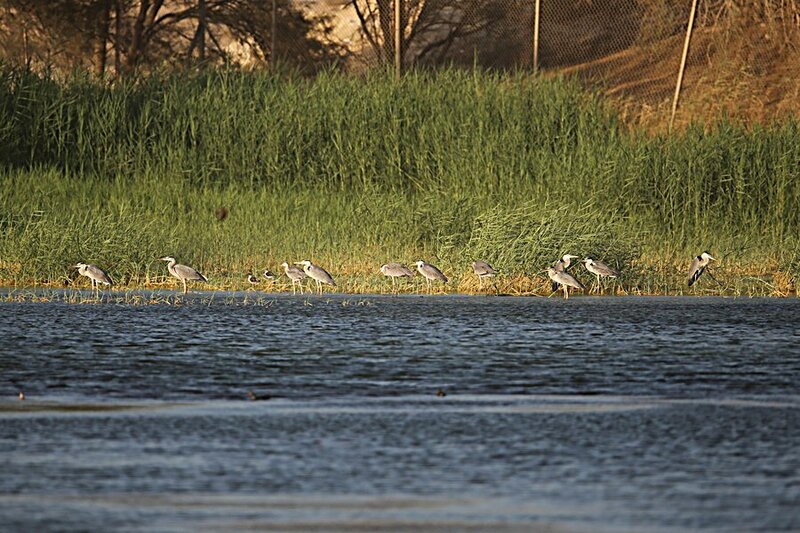 Eleven Grey Herons were on the percolation pond which is by far the largest number of this species I have seen at this site in one go and three Purple Herons were hiding among the reeds indicating the movement of herons is still ongoing from last weekend when I saw good numbers of Purple Heron at Sabkhat Al Fasl. 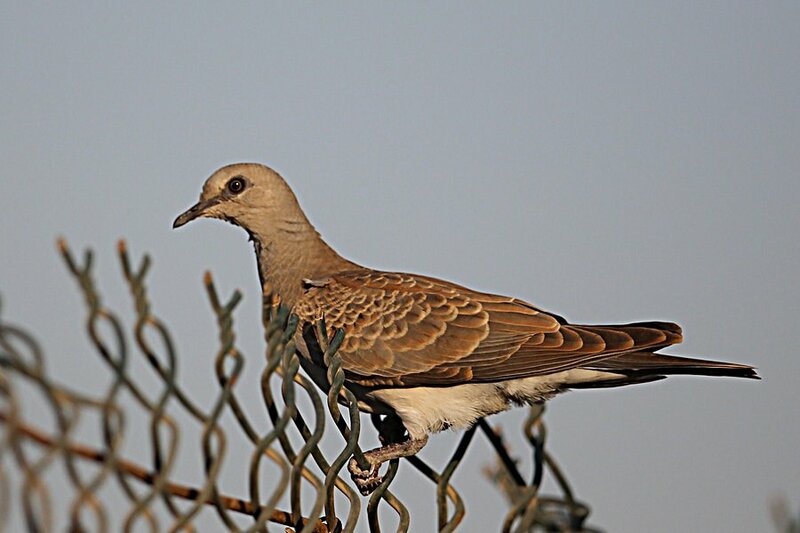 A juvenile Turtle Dove was on the fence surrounding the pond indicating they had a good breeding season in the camp and surrounding region which is great as this species is in decline over much of its range.